Mark your calendars, HR: it’s time to pop open the champagne and ring in 2019 without dropping the ball. 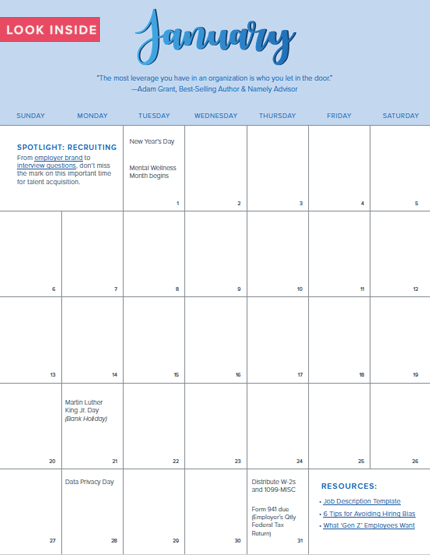 Ahead of the new year, we’ve launched our free 2019 HR Calendar. From special occasions like “National Coffee Day” to important compliance deadlines, the calendar features all of the key dates HR professionals need to know. Download now to receive both the PDF calendar and an optional ICS file that automatically syncs every important date to your online calendars.